WOYWW 267 – such a hypocrite! Yep. I admit it. I am a total hypocrite. I moan and moan at people on WOYWW who are working on Christmas projects and cards and yet I have been consumed with 2015 CALENDARS for the last couple of weeks. Shocking. I hang my head in shame. I had a plan of a little trick to share and it wasn’t until I went looking for OTHER 2015 printables that I realized that no one else is doing freebies this far in advance! Yet I know from requests behind the scenes or in comments people DO want to start working on these NOW – quite possibly the SAME PEOPLE who are making their cards in July LOL! 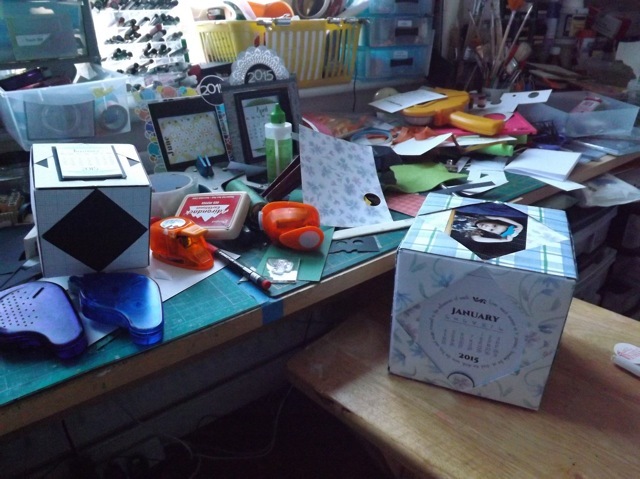 So what is on my desk is a mess from making CD calendars, and photo cubes and then photo cubes with added CD calendar printables, and then photo cubes with added tear-off calendars. DOH! 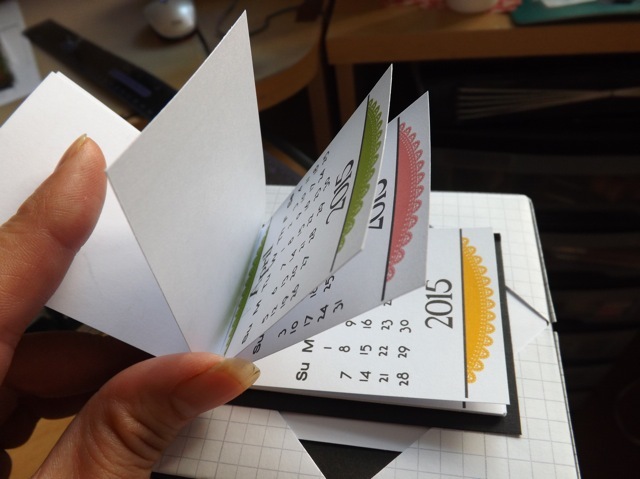 I was playing around with the idea that you could turn any set of Project Life printable calendar cards into a reasonable tear-off calendar by printing multiple pages on a single sheet. So I turned my own printables into a tear off. No, it’s not as cheap (in TIME for sure or COST, if you print colourful ones like mine) as buying a bag full of tear-off calendars from Hobby Craft, but you have to admit these are a lot cuter…. The size of them will differ, depending on whether you AUTO ROTATE or not. 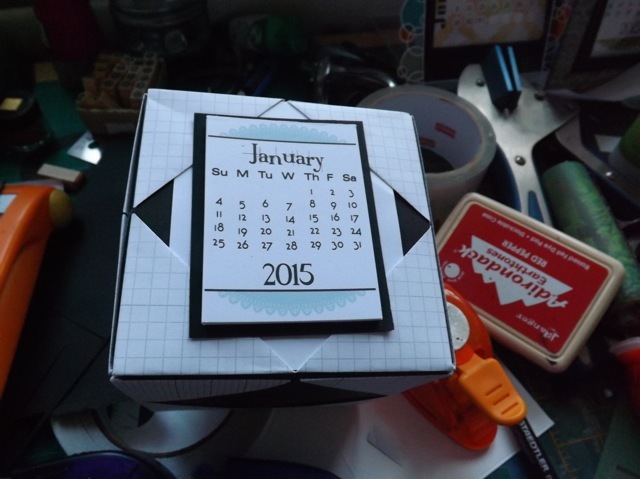 But could I find a free 2015 calendar printable sized for Project Life to test out? Could I heck! The only pitfall I can see in advance is that not everyone makes their printables as multi-page PDFs. Many of the old ones I did find are offered for download 6 months per PDF. 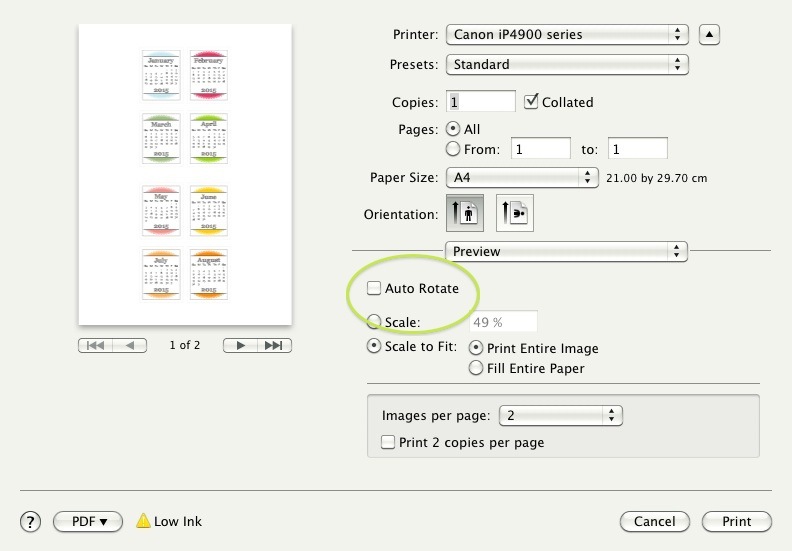 That means you may have to print at least two (two 6-month groups per sheet) to et the size small enough – unless you have a Mac and can merge multiple 1-page PDFs into a one multi-page PDF. Categories: calendars, WOYWW | Tags: calendars, printables, WOYWW | Permalink. You’re not a hypocrite, you are a realist. Calendars are for the whole year and what ever people may think, we actually need them well before New year’s Day. Thanks for the printer settings, I may never use them, but I know where to find them now if I do. they are on my Pinterest page. Now I’m of to think that I should be thinking about Christmas cards, but will probably, as usual leave it far too late. Cool calendars! Are we really over half way through 2014 already? Yikes. I wish I could get my head around the technical computer skills required for these little calendars 🙂 Cos I really would like to have a go at them! I love your block calenders and if you are going to make them you have to start early but I am just hopeless at even starting the christmas cards, always on the last legs LOL! Cool calendars! Love them on the cubes. I am doing Christmas cards only because I ran out last year! I’ve been taking part in some challenges on certain blogs to help. Hope you get all your projects done in time! Happy WOYWW! Oh you have created a great calendar and this is the best time to get organised before the mad rush at the end of the year. I’m always ready to do a calendar but it just never happens. I’m so proud of you for going ahead and doing it! A couple of hours at the ice rink sounds fabulous, in the heat of the day!!!! You are so organised planning and working on 2015 calendars!!!!!!!!!! Hi Mary Anne. I see your issues here with getting everything the right size for what you want. Personally, I don’t print straight from a pdf as it stands. I copy and paste single images into Serif then can get anything to the size I want. I can fiddle with it, then go to the print menu, and out comes what I need. 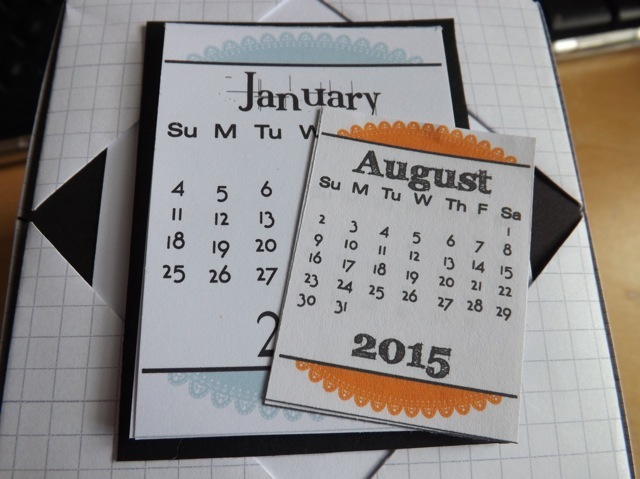 Your calendars look great – and it is so obvious that you have put lots of hard work into them. Well done. I always admire your new projects and how freely you share the,….love that! Don’t feel bad about leaping forward in time, it’s gotta be done if you need to get the idea out there in the Blogosphere. I can’t quite bring myself to mention the C word yet however! !